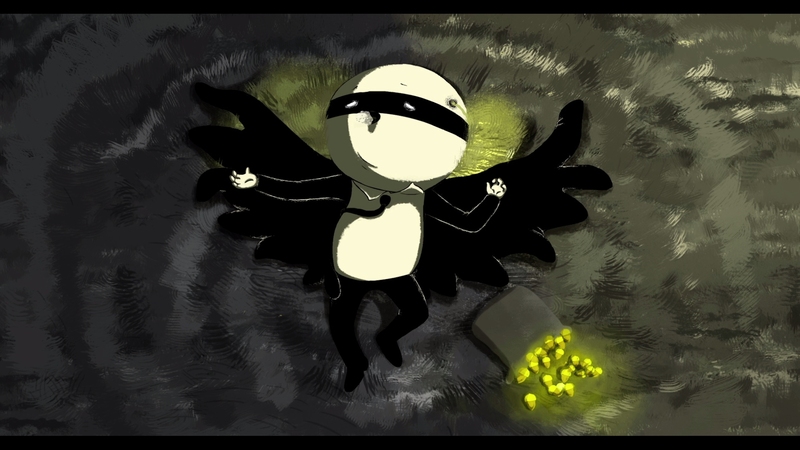 Birdboy: The Forgotten Children is based off Spanish illustrator Alberto Vázquez’s original graphic novel, Psiconautas. As co-director and co-writer, he’s shepherded this project from the page to the screen over the last decade. His haunting character designs and uniquely angular art at first blush resemble whimsical children’s fare. 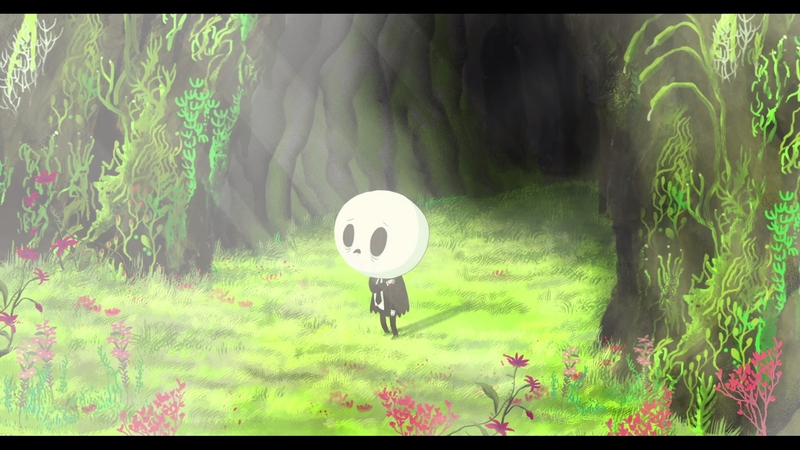 Only upon closer inspection does the cute facade reveal a dark and grim underbelly that underscores the striking animation found in Birdboy: The Forgotten Children. 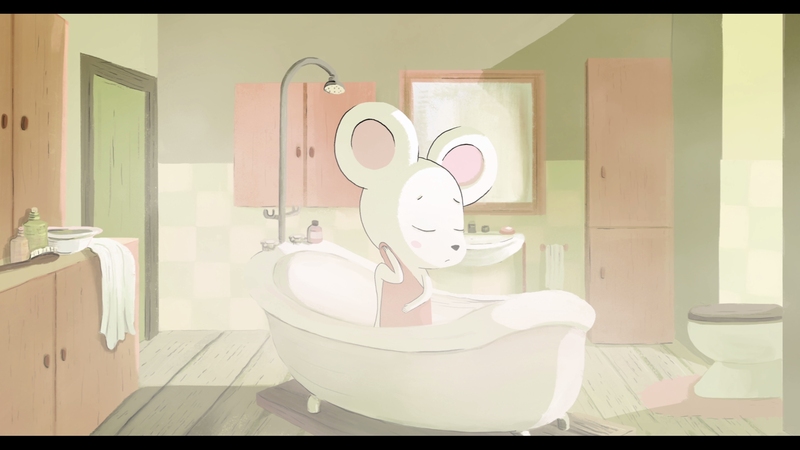 Friendly animal designs give way to a haunting morality play about adolescence. 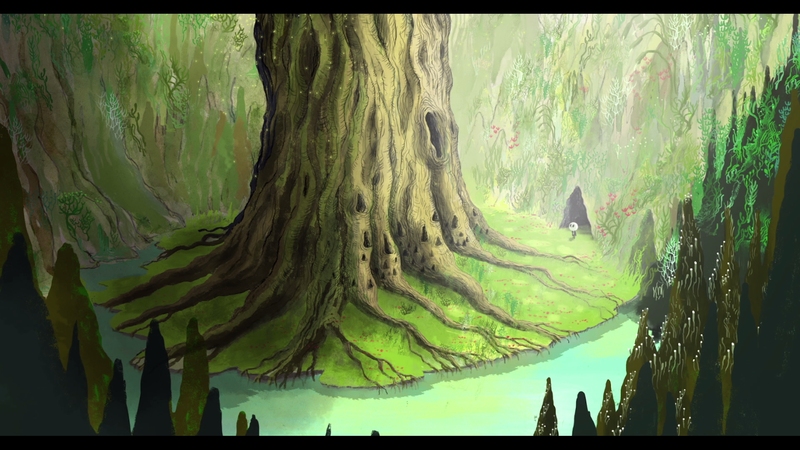 The highly stylized animation is this Spanish movie’s most immediate statement. 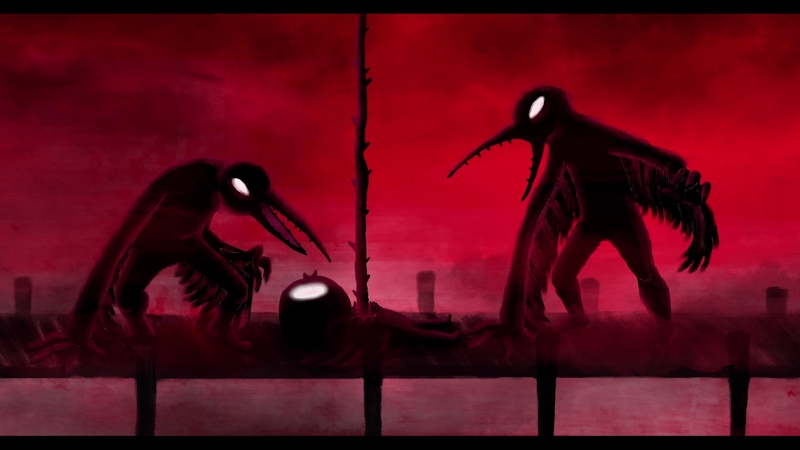 An amalgam of the fantastic and the nightmarish, Birdboy: The Forgotten Children looks like nothing else before it. Its two-dimensional animation can’t be compared to the traditional animation found in Japan or the classic Disney style. It’s filled with simple character designs much like the television cartoons made for children, albeit slightly tweaked for a more twisted reality. The details of this world are horrific, grounded in the problems of addiction and smuggling. Birdboy himself bleeds from the ravages of his habit. 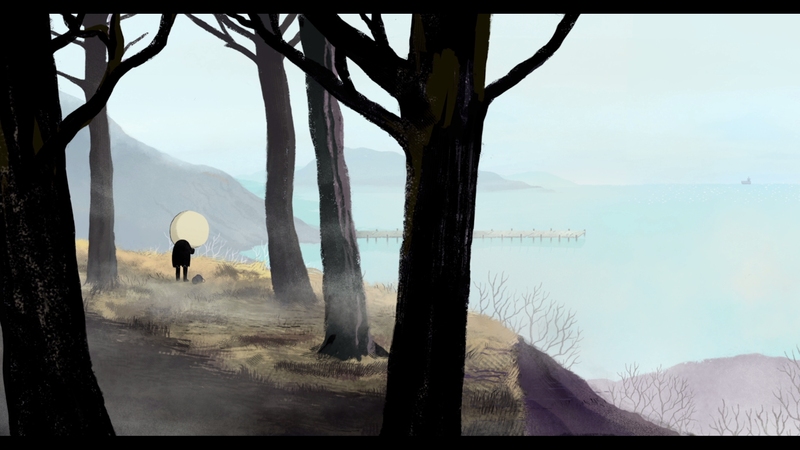 Winner of the Goya Award for Best Animated Feature, the movie stands alone as a fractured allegory about a group of school children, escaping the grim reality of their depressing world. Stranded on an island in a post-apocalyptic nightmare caused by an industrial accident, teenager Dinky and her friends hatch a desperate plan to escape the island in the hope of finding a better life. Her friend Birdboy has shut himself off from the world, pursued by the police and haunted by demons. But the mute character contains a secret inside him that could change his world forever. This is not the fairy-tale fluff of a Disney production. 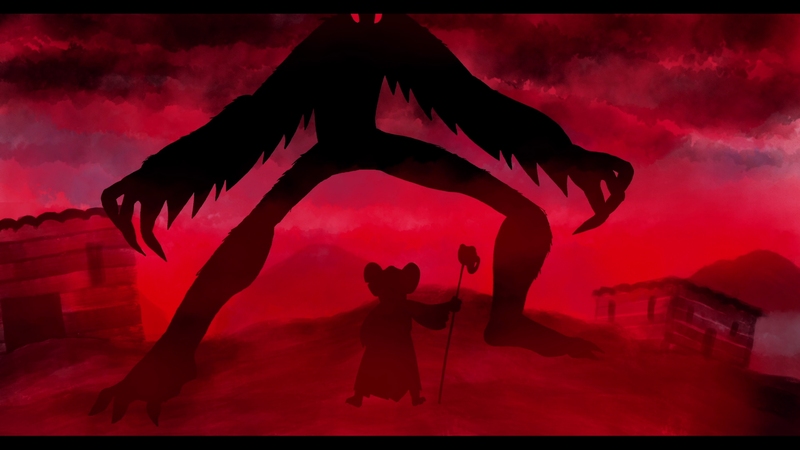 It’s a dark, moody fable that places its animal characters in a hopelessly bleak situation. This is not for children unless you want to give them nightmares. 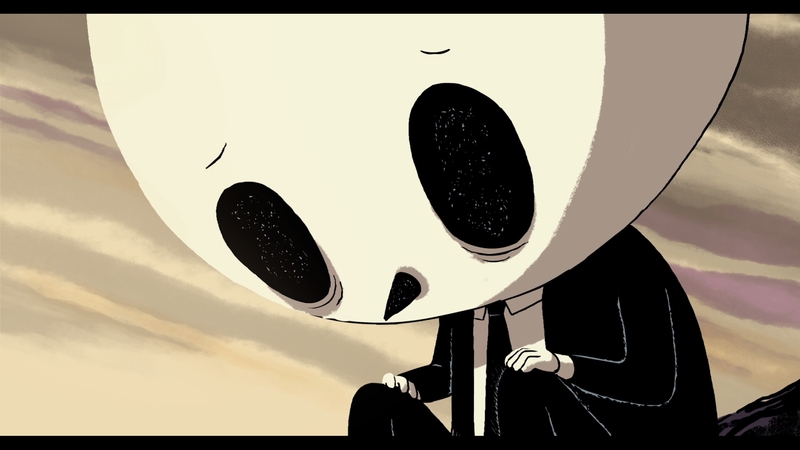 Birdboy: The Forgotten Children is animation aimed distinctly at adults tired of the saccharine-sweet family animation pushed down our throats by Hollywood. 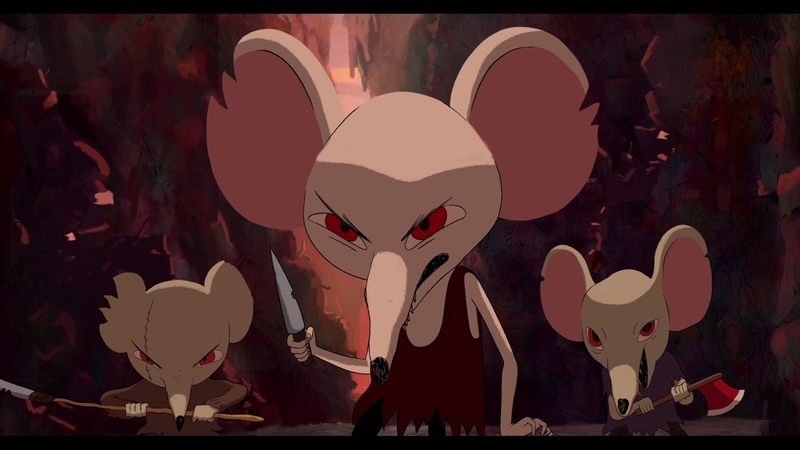 It’s grim and challenges our preconceptions of what an animated movie should feel like. Along the way we meet several characters in dire problems. Zachariah yearns to leave the island but remains behind for his bed-ridden, drug-addicted mother. She demands he keeps her fully supplied in drugs. Her fearsome addiction takes the form of a hideous black spider. A common theme repeated again and again is how their parents are behind many of the children’s problems. Birdboy: The Forgotten Children is a challenging movie that found a place on the festival circuit in Europe, when it first made the rounds back in 2015. Tackling deep issues in adolescence and the environment among others, the depressing movie isn’t always a good time. It takes your expectations for what animation should be and subverts them for its powerful brand of storytelling. 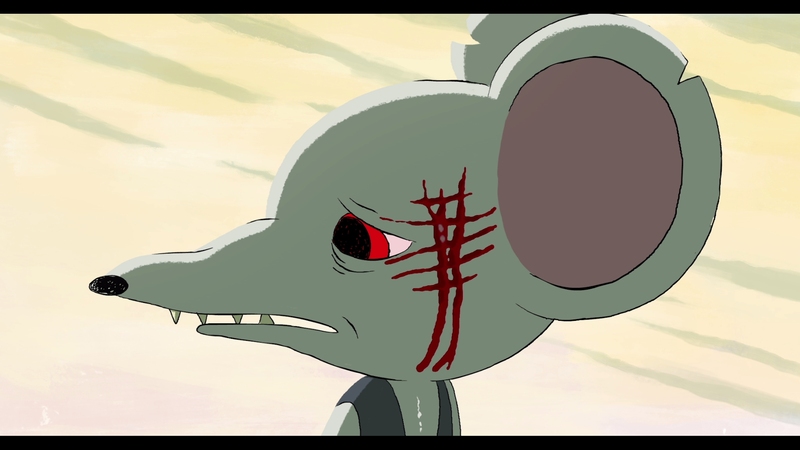 Birdboy: The Forgotten Children has sharp animation in vivid clarity. The 1080P video receives a nigh flawless presentation. The bleak story looks surprisingly colorful and bright at times as the plot dictates. 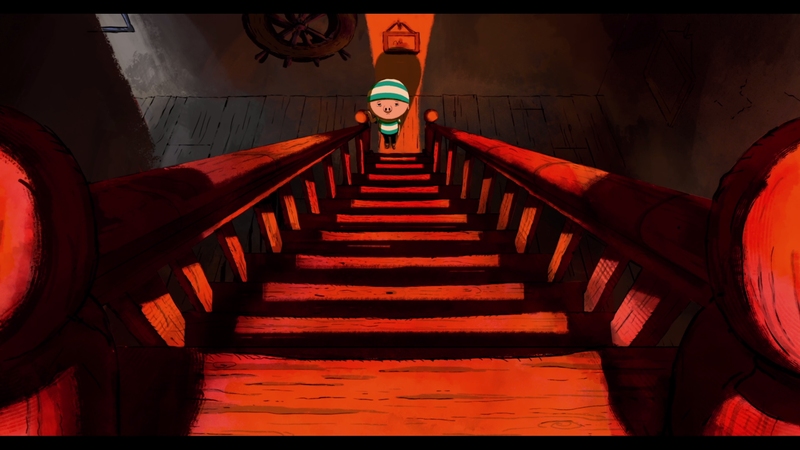 The rich animation has a unique aesthetic with few parallels found in Hollywood animation. Based off Alberto Vázquez’s graphic novel, the character designs are stark caricatures with idiosyncratic details. The 76-minute main feature is encoded in pristine AVC on a BD-50. The movie plays in a 1.85:1 aspect ratio. The vivid, haunting visuals look splendid on Blu-ray. Spanish 5.1 DTS-HD MA and an English dub in 5.1 DTS-HD MA provide fine sound quality for this animated production. The movie is largely a dialogue-driven affair, although the sound design really opens up when necessary. The LFE channel becomes particularly active during Birdboy’s troubling skirmishes with addiction. Animation always has a leg up with the entire soundtrack getting recorded in a soundbooth. Birdboy: The Forgotten Children has clean fidelity and a nice soundstage for both language tracks. Optional English SDH subtitles are provided for the English dub. A separate English translation is included for the Spanish audio. Other subtitle options include Spanish and French. 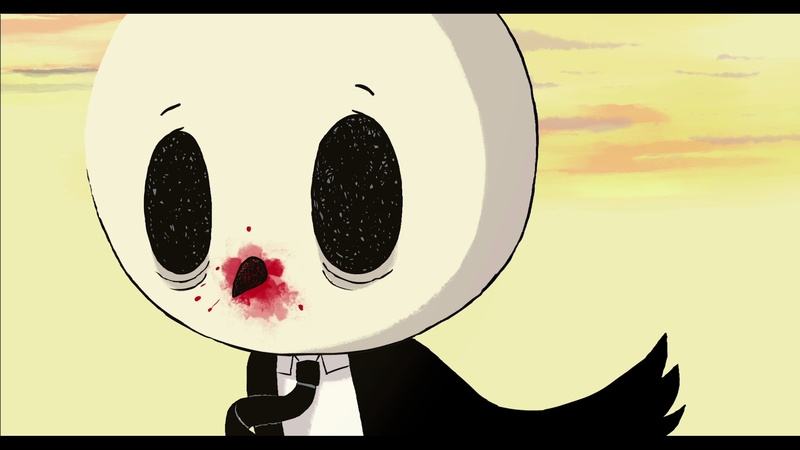 Shout Factory distributes Birdboy: The Forgotten Children for GKIDS, a label specializing in foreign animation. Many people will know GKIDS from their excellent reissues of the Studio Ghibli movies on Blu-ray. The Blu-ray is locked to Region A if you were wondering. A glossy slipcover is available for this Blu-ray and DVD combo set. The smattering of special features are in Spanish with English subtitles. Interview With The Filmmakers (12:42 in HD) – Co-directors Pedro Rivero and Alberto Vázquez are interviewed separately in this featurette discussing the movie’s themes and characters. This gives you a portrait of how the graphic novel slowly made the transition from page to screen. Birdboy Original Short Film (13:08 in HD) – The original award-winning short that serves as a prequel of sorts for Birdboy: The Forgotten Children. While the character designs are slightly different than in the full movie, this short feature is vital in better understanding the story and characters. It should be viewed before watching the full feature if possible. 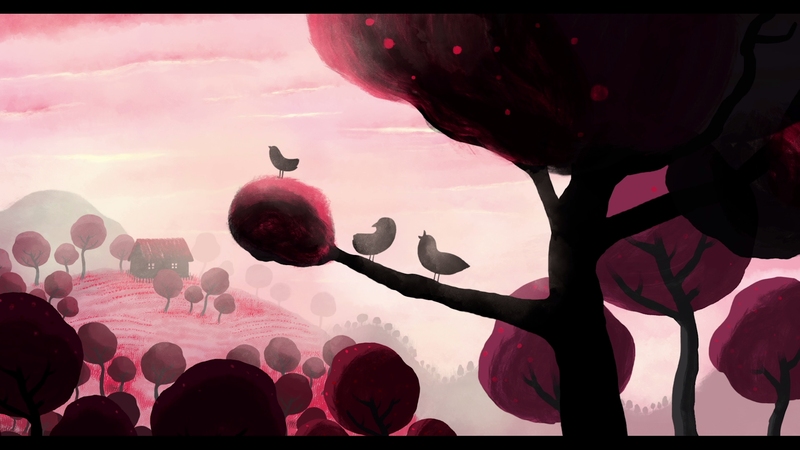 Decorado Short Film (11:13 in HD) – Co-director Alberto Vázquez provides this unrelated but interesting animated short. 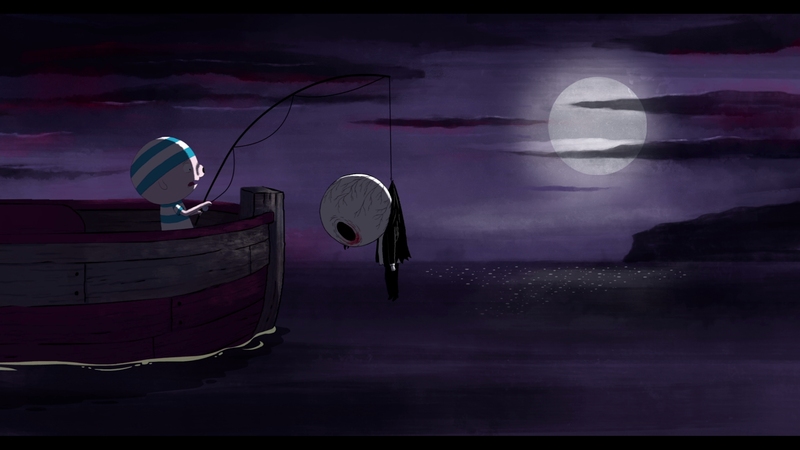 A bleak, haunting animated movie made with arthouse sensibilities for adults. This isn’t an easy watch and it’s certainly not for children. The unaltered images below are from the Blu-ray. For an additional 10 Birdboy screenshots, early access to all screens (plus the 10,000+ already in our library), exclusive UHD reviews, and more, support us on Patreon.